Historian Seward (The Last White Rose: The Secret Wars of the Tudors, 2014) again serves up a neat, clear view of an English dynasty—this time, the Plantagenets. Turning to as many contemporary sources as possible, the author in particular initially quotes the chronicles of Matthew Paris and Roger of Wendover, monks of St. Albans, a well-placed monastery at the intersection of two of England’s busiest roads, who witnessed history unfolding. 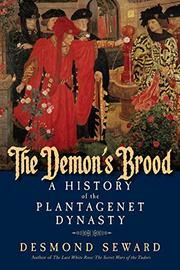 The author deftly covers 300 years of English history and more than a dozen kings, noting how, due to a “multicultural world” that is “embarrassed by patriotic history…the Plantagenets have faded from people’s memory.” Readers well-versed in Plantagenet history will delight in the efficient completeness of this narrative. The author covers most of the bases, although a bit more attention might have been paid to Eleanor of Aquitaine, one of history’s strongest women. Seward succinctly chronicles the successes and failures of these kings, from Henry II’s manic energy to Edward II’s complete uselessness to Henry V’s heroic victories over the French. The author also recounts the immense changes that took place in the world during the time period, beginning with Henry II’s accession in 1154 and ending with the great age of exploration that began in 1492, just seven years after the fall of Richard III at Bosworth. During that time, England twice gained and lost vast lands in France, fought the Hundred Years’ War against the same, and alternately subdued and surrendered to the Scots, Irish and Welsh. The bitter civil war between the Lancaster and York families finally ended with Henry Tudor’s ascension and unification of the families. Seward is a good author to turn to for ease in reading history; his writing style is quick, vibrant and delightfully pithy in its simplicity of phrase.